And of coarse Mrs. Paz.. man she wouldn't let me slack and get away with stuff!! I see Mr Alan Forman, Mr Chico Gomez, looks like Joe Elijio, Mike Arnott, Dennis Eiley, Gerald Leslie, Dale Wallace - man my eyes aren't that good either. well I see Nigel, and Sherlette Belisle..Felix Ayuso, Coqui, Marissa, (my class so it's easier..lol). Found sooo many more looking at My original when I read my Mom's Post It..ohhh Thank You Mr. Nunez! ha ha .. I am that blonde..
LOL...yes i see Helen i meant on your other side three in a row "she" is in the middle.. ?? ?Ellen..right..geez don't tell me I've spelled her name wrong for 30 years!!!! 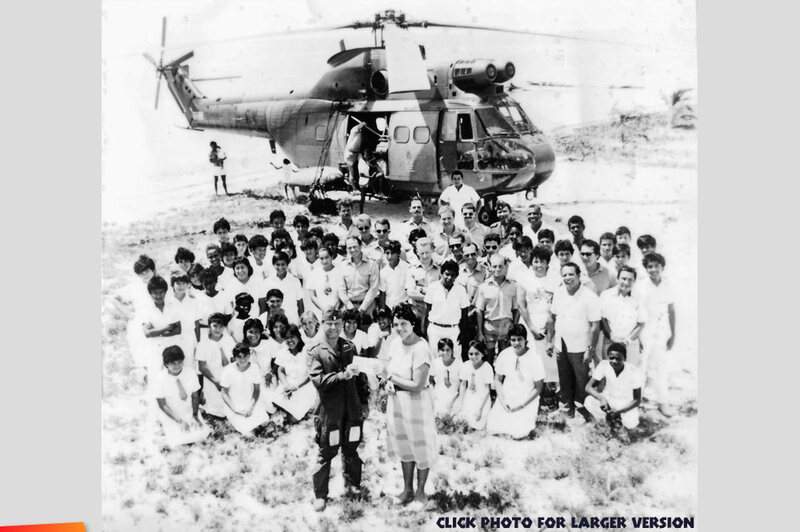 The Brits were very active in Belize from 1970’s and through the 80’s making reconnaissance flights around the country, airlifting emergency patients, and of course protecting our borders with Guatemala. They also vacationed on Ambergris Caye and were very generous tourists. For a while they were very active in San Pedro and helped tremendously with the construction of the new San Pedro High Building. 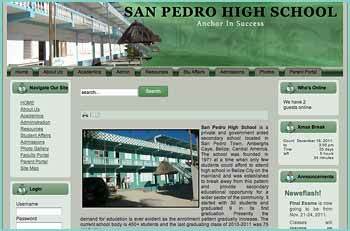 Since 1981 when we formed the San Pedro High School Building Committee, Mr. Allan Forman, chairman of the committee solicited help from the British High Commission and was very lucky to obtain the help we needed. Approval was given for 20 British soldiers stationed at the Belize airport to come to San Pedro to work on the construction of the building. On a note of interest, besides not having to pay them one cent, the British Army Administration saw it fit to give the construction workers a splendid farewell party with an ample supply of chicken, beef and pork barbecue, and an equal supply of beer. Members of the San Pedro High School Building Committee, Betito Marin, Allan Forman (+), Pedro Salazar, Norman Eiley, John Belisle (+), Wilfredo Alamilla Sr., and myself were invited to the party where we were thanked by the Brits for giving them the opportunity to participate in the construction of San Pedro High School. 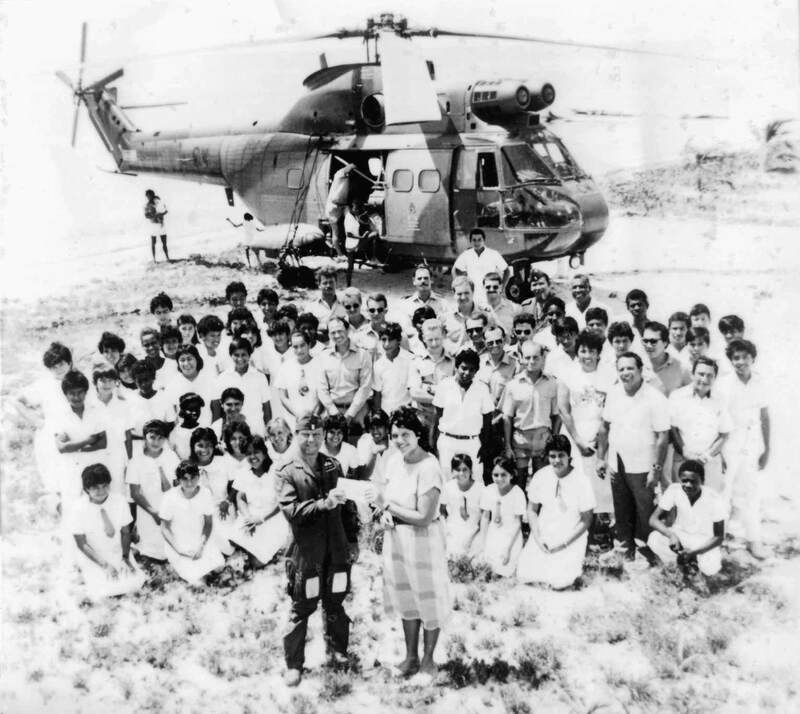 The British Helicopter made several landings both at the airstrip as well as on site at the high school to bring the working crew to San Pedro. Just a few months after the high school was completed and inaugurated in 1987, the Brits flew their helicopter over the high school, and two sky divers jumped out and landed right on the grounds of the high school. There they handed over a plaque to commemorate their cooperation in the project. Also wanting to add financially to the same project, they delivered a check to be used towards the completion of the science laboratory. This money was received by science teacher Miss Liani Lopez Paz and witnessed by the entire student body of San Pedro High, and Mayor Gilberto Gomez. Why was the landing of a helicopter permitted on the high school campus? Well, the entire Boca del Rio area was pretty much uninhabited with the exception of the high school and one or two residences. Besides the Brits were a high authority in Belize in the 1980’s and pretty much landed anywhere without informing anybody except airport camp. This is a historic landing on Ambergris Caye in 1988 exactly 25 years ago. Teachers and students in 1988 ought to remember this very warmly and vividly. I do.